Trying my utmost best to maintain a fine balance. Thus, for breakfast, I went the whole grain route. 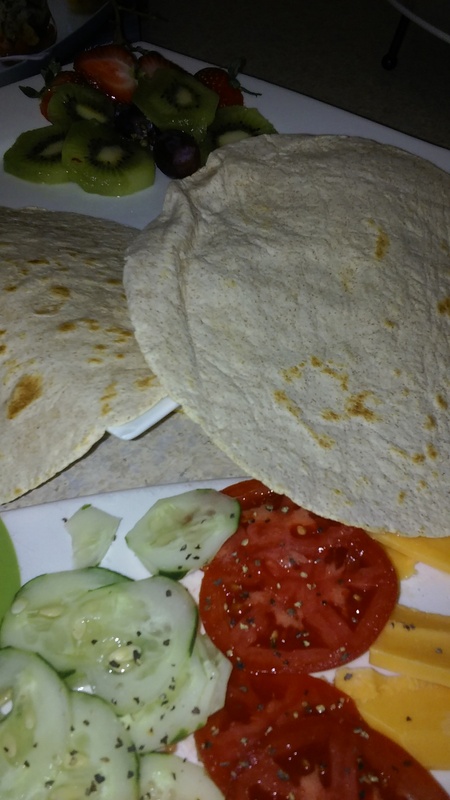 I did so by employing the aid of Mexican tortilla wraps. 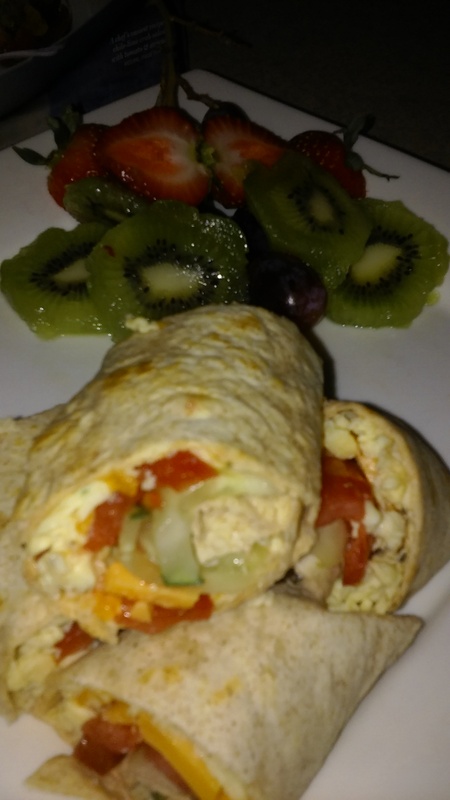 These wraps are loaded with about 9 grams of fiber which was music to my ears as I like to incorporate as much fiber in my daily meal plan. Fiber keeps me satisfied for an extended period. Wraps were then folded to a beautiful finish. They were then sliced with a serrated knife and served with a refreshing medley of fresh fruits.